The Surrenne cognacs come from a long tradition of craft-method double distillation on small copper pot-stills (the alambique charentais) and aging in oak casks in cool stone-walled cellars (the east wall of a cellar across the river from the Madame is the old city fortification wall of medieval Jarnac). Bottlings are selected to exemplify the best characteristics of grapes grown within Cognac’s specified regions: grande champagne, petite champagne, and the lesser-known borderies. 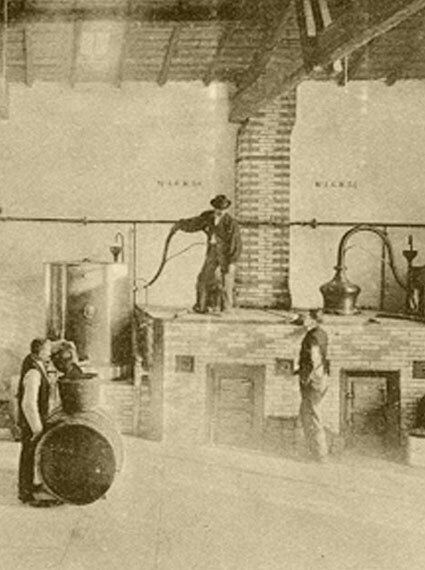 Blending is kept to a minimum, and is usually among distillates from a single harvest.